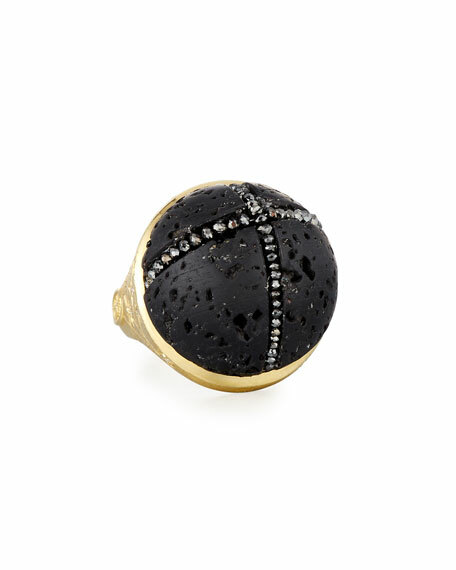 Constellation lava rock ring by Adam Foster Fine Jewelry. 18-karat yellow gold tapered shank and bezel setting. 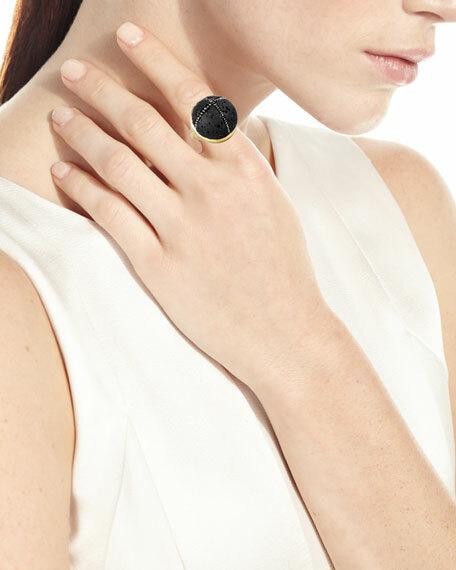 Round black lava rock center with black diamonds. For in-store inquiries, use sku #2523055.